Hidden Ingredients in Food Labels. For years now, the importance of reading food labels has been pounded into our heads. Whether we’re looking at the macro and micronutrient breakdowns or inquiring about ingredients, it’s important to be a well‐informed consumer. You will oftentimes find that even foods that appear to have suitable macronutrients are made with some sketchy ingredients. Whether you stick to the principle of “if you can’t pronounce it, don’t eat it” or not, investigating what exactly makes up the foods you are eating isn’t a bad idea. There are basic “no‐no” ingredients that media has plastered across their outlets and seared into our brains‐ high fructose corn syrup, soybean oil, etc. But there are a ton of other ingredients that most people can neither spell nor pronounce lurking in our foods‐ even the healthy ones! Here are a few of these to look out for next time you find yourself reading an ingredient list. Diacetyl: Studies found that this chemical has been linked to respiratory problems and creation of plaque in the brain that is a sign of Alzheimer’s disease. Seeing as how this ingredient produces a buttery flavor and scent, it is found most often in microwave popcorn, but also in candy, margarine and baked goods. Butylated hydroxyanisole (BHA): This ingredient is used to prevent food from spoiling. In lab tests, consumption of BHA’s has been linked to causing cancer in rats and other laboratory animals. Having said that, BHA is considered to be a carcinogen. Nitrities: If you’ve ever eaten a hot dog, lunch meat or processed meats of any kind, you’ve eaten nitrite. Nitrite is used to preserve meats and keep their color looking “fresh.” Nitrite consumption has been linked to increased colorectal/stomach/pancreatic cancer, COPD, mutations of DNA and greater risks of developing brain tumors. Keep in mind that all the ingredients listed above and many more are viewed under a controversial scope. As with anything deemed “good” or “bad,” there is science to support the claims and there is science to counteract them just as well. Think about the back and forth nature of the food industry the past few years regarding artificial sweeteners. Aside from ingredients, there are also some strange things lurking in your food‐ sometimes just for the purpose of altering color or appearance. For example, cochineal insects are ground up by the thousands, which produces a red powder. This powder is then mixed with water to produce a red food coloring. This dye is used to color candies, juices, and most infamously, in a handful of Starbucks drinks. Tartrazine, also known as “Yellow #5,” is also used as a food dye, and is found in prescriptions and food. Yellow #5 comes from coal tar and is known to cause severe allergic reactions and side effects in some individuals, such as thyroid cancer, clinical depression, insomnia and aggravation of Carpal Tunnel. means or where it came from. But it is safe to say that if you try to stick to foods that are closest to their true form, you can be as sure as possible that you are avoiding any hidden surprises. Whether you’re a Paleo fan or not, there’s certainly common ground between those who follow the diet and everyone else. How To Eat Like Your Ancestors. Obviously our ancestors were doing something right when it came to eating and exercise. Food wasn’t simply grabbed off a shelf, tossed into a cart and driven to your home. It was hunted, killed, prepared and cooked. Nowadays, disease abounds and even with advances in technology, our lifespans are shortening as lifestyle choices create epidemics far out of our collective control. Little kids are obese and twenty‐some year olds are suffering heart attacks. So where exactly did we go wrong, and is there a way to fix it? If you take a look at countries who still practice subsistence farming and must grow and hunt the food they consume, some things haven’t changed with time. The disease presence in these countries falls more along the lines of under nutrition than the issues we have elsewhere that are a result of over‐consumption. But there is clearly an issue in industrialized countries where while we grow food to live off of, we also mass‐produce and process a much larger amount. It wasn’t until 10,000 years ago when our diets shifted from only those things we could hunt, fish and gather towards the state we’re in today. Because the amount of hunter‐gathers left in the world are so slim, researchers are trying to learn about their way of life before it’s too late. While the development of agriculture seemed to be a step in the right direction, it’s up for debate when we assess the current health state of the majority of the world’s population. In an article in National Geographic, titled “The Evolution of Diet,” studies were done on the Mayan population that may be indicative of what exactly happened to our health as a result of a shift in the foods we consumed and the methods in which food was obtained. Until the 1950’s, diabetes was unheard of amongst the Maya. However, when they shifted their diets towards a more Western (read: sugar‐heavy) diet, diabetes occurrences were through the roof. There may be some tie, too, between the way we prepare food nowadays compared to how we used to. With advanced cooking methods, we serve and consume meat in a very digestible form, whereas our ancestors were eating raw or minimally cooked meats in particular. The energy required by our bodies to break down the meats we consume is pale in comparison to the amount of work our bodies used to have to do. Whatever way you look at it, it’s quite obvious that whatever happened between then and now isn’t a shift in the right direction. Instead of dying from sicknesses that went untreated due to lack of medical care and resources, we’re dying off from lifestyle diseases we’ve brought onto ourselves amidst the most impeccable medical technology. Perhaps the best we can do is to ensure that we are doing our part to eat and stay healthy in a fashion that is as close to our ancestors as possible‐ this wouldn’t be a bad case of history repeating itself. Chances are you’ve heard the term Paleo before, and likely used in close association with Cross Fit. The Paleo Diet Simplified. Paleo, short for Paleolithic, is a term that refers to a specific type of diet or eating style. The Paleolithic era, also known as the Stone Age, was a time in which primitive people (cave men) lived as hunters and gatherers. Their diets consisted of whatever animals they could kill or food they could gather. So this essentially means any foods that are in their rawest or truest form and available in nature. Think back to history class and images of cavemen‐ lean, athletic, muscular. I think it’s safe to say if cave men sat around eating Oreos off of golden trays, their bodies would be more like what we see in the general population in our world today. So there’s got to be something about what they were doing that worked, right? This is where Paleo diet advocators derive their argument for why it works. They believe our bodies were physiologically created to be able to properly digest and derive energy from the original foods our ancestors ate. But with the incorporation of farming and agriculture, grains were now being grown in abundance and disease risks increased along with the crop. The work required to obtain food has diminished incredibly over the past hundreds of thousands of years. 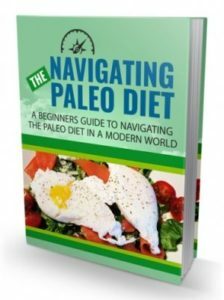 For those of you who are not fans of calorie counting or macro tracking, the Paleo diet has an advantage. While you certainly can track these things if you wish, they aren’t essential for weight loss. If you eat only Paleo‐approved (nuts, fruits, eggs, grass‐fed meats, healthy oils, vegetables), you are constantly putting healthy and nourishing foods into your body. These foods aren’t the ones causing our worldwide obesity and disease‐ridden epidemic‐ processed foods (read: sugar) are. It’s no surprise that cooking and preparing your own food is the safest and healthiest bet. Grow Your Own Food. When you buy food already made, or go out to dinner at a restaurant, there is truly no way to know how it was prepared, where it came from, etc. By cooking your own food, you can at least know for sure everything that went into its preparation from start to finish. But what if we go so far as to say growing your own food is not only the ideal situation, but also a fun, tasty and inexpensive way to ensure you are eating the freshest foods possible? You certainly don’t have to be a Martha Stewart or own hundreds of acres of land to grow your own food. The process is rather simple and just requires regular attention and maintenance. There are a ton of methods by which you can approach growing your own food. Whether you use a raised garden, window garden, or grow them in pots, fresh veggies and herbs can be yours. Let’s take a look at the various methods of growing veggies and herbs at home, aside from the traditional ground‐gardening. Raised Garden Beds‐ These are ideal when the available ground soil is not of a good quality. Basically, you build a garden above the ground and fill it with healthy soil that you purchase. Because of the elevated construction of a garden bed, water drains better. You can either purchase a raised garden bed or build your own. HGTV (Home & Garden Television) offers a tutorial on how to build your own here. Window Box‐ Window boxes can be used both indoors and outdoors. They are great for people with no yard space or very little yard space. Using the highest possible quality soil is recommended, as the root growth on your plants will be limited due to the depth of the window box. HGTV offers a tutorial on how to grow veggies in a window box here. Pots‐ Able to be used both indoors and out, pots are a great option for growing herbs and vegetables. Picking the proper size pots is crucial when choosing different varieties of plants you wish to grow. One plus to using pots versus regular ground gardening is that you don’t run the risk of soil‐borne diseases that you would otherwise have to worry about if planting directly into the ground. Find the right spot & amount of space‐ Depending on what you’re planting, the amount of sun required will vary. If your plants need mostly direct sunlight, be sure you’re placing them in an area that is predominantly sunny. Also, make sure you have enough space to accommodate the varieties of plants you choose to grow. Note projected growth heights on seed packets. If you live somewhere where seasons drastically change, it’s important to be prepared and know what steps you need to take to protect your garden. You can find helpful month‐to‐month tips for year round gardening here. Growing your own food at home is a great way to get children involved in healthy eating. Broccoli is often much more appealing to a child when they grew and harvested it themselves. You also won’t have to question how long that bag of carrots sat on the grocery shelf. There is something to be said of fresher‐than‐fresh foods. One of the cool things about growing herbs in particular is that you can either use them fresh, or hang them upside down to dry and use them dried. Either way, the flavor is incomparable to store bought spices. Try starting your own garden and enjoy all the new flavors and smells! Author ErlendPosted on 02/05/2017 Categories DietTags Grow Your Own Food, Navigating The Paleo Diet, Should You Grow Your Own Food?Leave a comment on Should You Grow Your Own Food? Think You are Eating Healthy? Let’s face it‐ eating healthy is hard. It’s not hard because it’s impossible, but rather because it can be so confusing. There are continually new studies coming out say a certain food is good, and a week later a new study says it’s not. Fad, celebrity‐endorsed diets come and go faster than we can keep track of. So where can you turn when you’re looking for solid, reliable nutritional advice? Your basal metabolic rate, or BMR, is a measure of the calories you require on a regular day‐today basis for basic life functions. This calculation assumes no physical activity is being performed and therefore minimal energy is being expended. 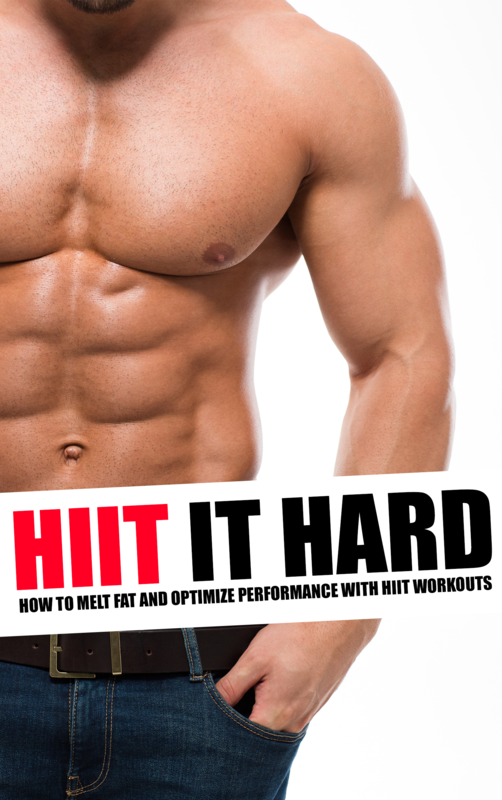 To calculate BMR, there are a ton of online calculators you can use, like this one here. If you figure out your approximate BMR and factor in physical activity, you can get a general idea of your daily caloric expenditure. Once you know this number, you can use the percentage ranges listed above to tailor your diet. It’s important to keep in mind that just like with exercise, change is a good thing when it comes to diet as well. If you find yourself starting at a macronutrient split of 45% carbs, 35% fats and 20% protein, you can later switch it up to 55% carbs, 30% fats and 15% protein, as an example. You will find through trial and error what your body responds best to. 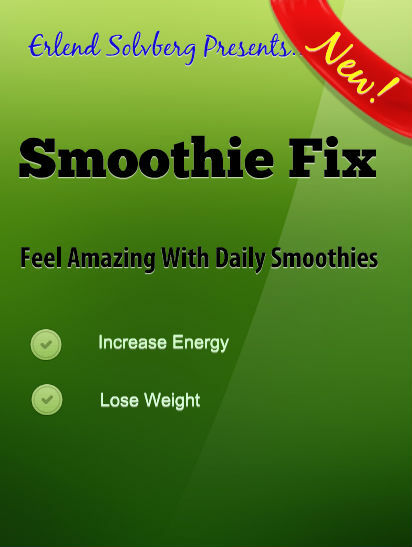 There are numerous online and phone app programs that serve as macronutrient trackers. You could start by tracking your normal intake for a week and seeing where your macronutrient ranges fall. What it all boils down to is finding a balance that works best for you. You may find that your answer isn’t even close to what government‐recommendations say, and that’s okay. Whether your goal is to lose, gain or maintain, find a system that makes sense. Author ErlendPosted on 02/05/2017 Categories DietTags eating healthy, Navigating The Paleo Diet, Think You’re Eating Healthy?Leave a comment on Think You are Eating Healthy?